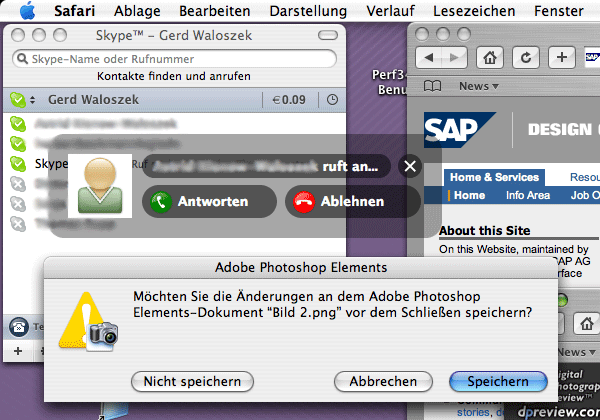 Recently, I installed Skype on my Apple Macintosh and eagerly awaited my first incoming call. And then it came, with an alarming ring and a floating window on the screen, asking me to accept the call or reject it. And what did I? 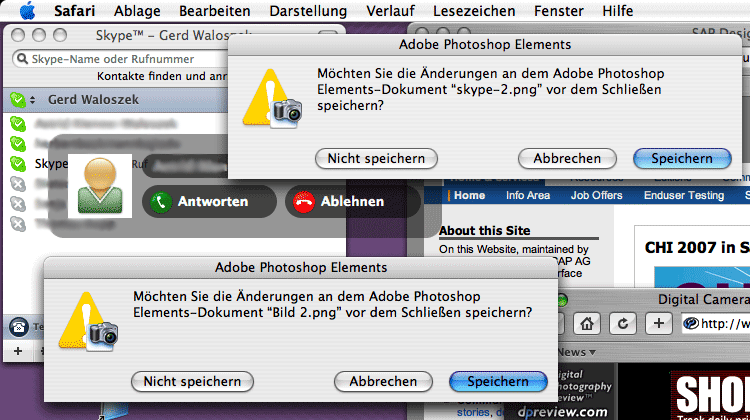 I rejected it – probably, because the Reject button (Ablehnen) was on the right side (see figure 1). But on that side, or better, in the right corner, is the default button on the Mac (see figure 2). And for good reason, dear Windows users (what I am at work, too...), because if you are using the mouse with your right hand, you typically "park" the mouse pointer more to the right of the screen and move it to the left when needed. At least I do so, even though I am originally left-handed – and it's much faster than a left default button. Should I mention that the Accept button (Antworten) has a green and the Reject button a red label? Even these strong visual cues did not work for me, when I'm in a hurry. In his book The Design of Everyday Things, Don Norman talks a lot about natural mappings and how they affect our interactions with everyday things, such as faucets or screws. Probably because I am left-handed, I never know in which direction I have to turn them for the desired result. The question arises, and of course Norman discusses this, when can a mapping be regarded as "natural" and when not? For a Windows user, the Skype button layout seems "natural," because in Windows the default button is in the left corner of popups (see figure 3). 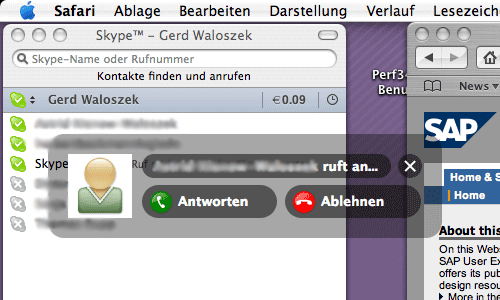 Figure 3: In Windows, the convention for the default button in popups is "the other way round"
For a Mac user, however, it is not, and even strong cues, such as the icons and their colors, may not help to "override" his "default" behavior. So what can we do about such problems? According to Norman, there is a "last resort" to mapping problems: cultural constraints and standards. If a "natural" mapping is lacking, operations may be standardized so that they are the same everywhere. None of the possible options may be better, only important is, that the standard (or convention) is the same everywhere. That's at least the theory. However, driving and – as we just saw – operating systems are examples of standards that seem to be obeyed universally – but there is a tiny French village that dares to oppose it (or a tiny fraction of computer users who own a Mac, or a not so tiny fraction of people who drive on the left side of the street instead of the right one, etc.). 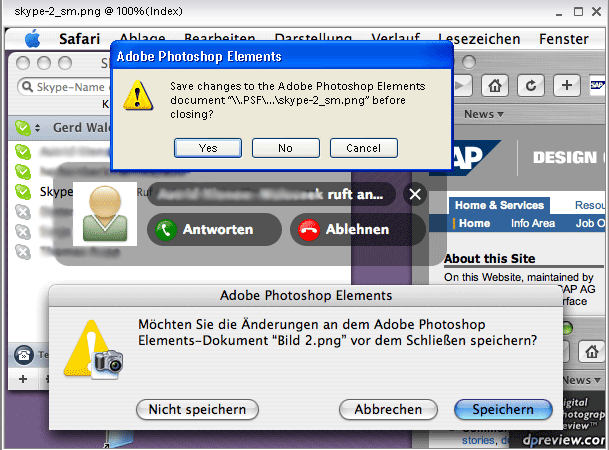 Figure 4: Can you tell, which popup is part of the image and which is a real one?